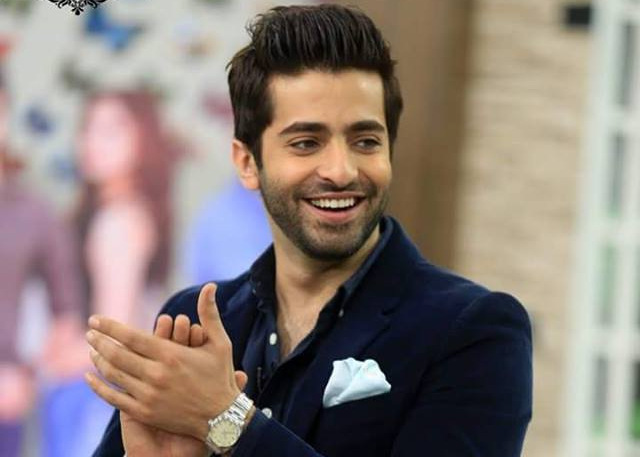 Ho Mann Jahaan under the banner of The Vision Factory Films has further consolidated Sheheryar Munawar as one of the most good looking and finest actors in the country. He is our favorite heart throb, which is why we got him to confess 10-things that not a lot of people know about him! 1. Do you think ex-s can be friends? 2. What’s one thing u notice about woman? Intelligence. If they can hold up a conversation and tolerate me. 3. How do you lift yourself when you’re low? I don’t. I let myself be low for a bit, so I can bounce back up higher than before. 4. Tell us about the funniest rumor you’ve heard about yourself? On there are many, but usually different affairs with co-actors that my mother finds out from xyz at gym class and then she throws a tantrum. It usually ends with me calming her down and letting her know that its untrue! 5. If you had to spend unlimited money at one store, anywhere around the world, where would you go? I’d spend it on a watch store, for sure! I love watches so I’d go crazy buying watches. 7. One thing about you, that no one knows? I can’t go to sleep without an eye mask! 8. What’s that one thing, according to you, that sets you apart from your contemporaries? There are no contemporary I have defined for myself. But what sets me apart is perhaps doing less but quality work that I’d be able to look back and feel happy about later. 9. What is one thing at your bedside table at all times? My bedside table is longing for a book! 10. What’s your favorite place in the world? There aren’t places, there are moments. Like for me, its more about the company, than the place. But I love any place that has a rich culture and history so I can spend time looking at museums and architecture.